BURBANK, CA – May 28, 2013 – Sing along with the music from the Disney Junior hit TV show Doc McStuffins! 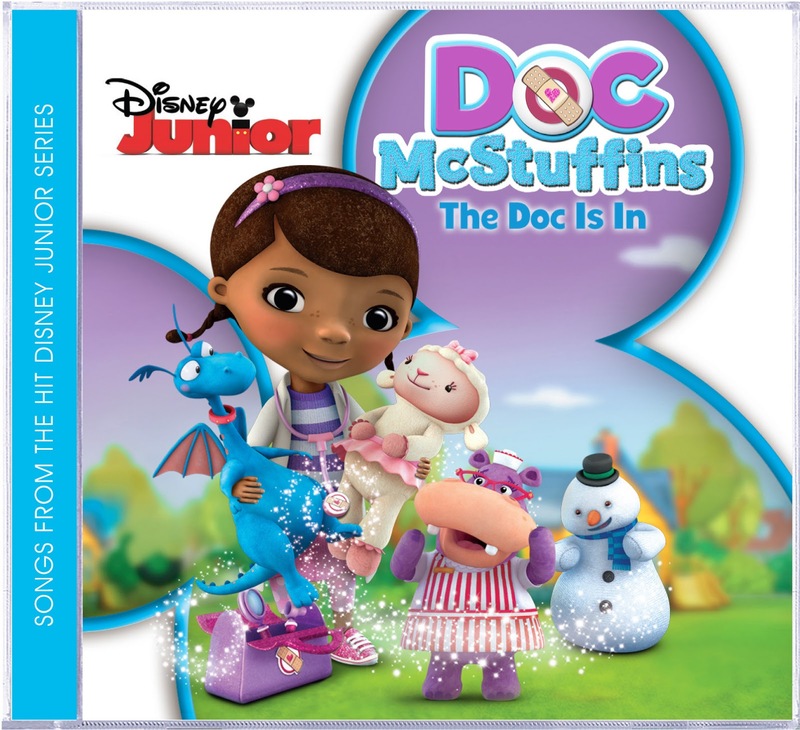 The brand new soundtrack from Walt Disney Records features 26 popular songs from season one including, “Doc McStuffins Theme Song,” performed by the star of Disney Channel's hit series A.N.T. Farm China Anne McClain. Don’t miss out on all of the magical music from Doc McStuffins: The Doc Is In available June 18th. 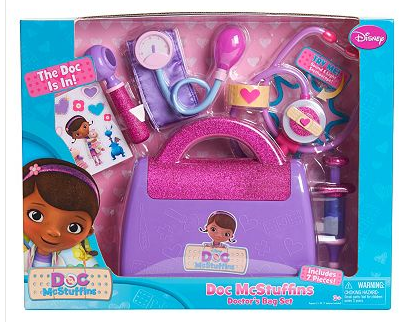 The music is a vital part of “Doc McStuffins,” with each 11-minute episode including the tracks "Time for Your Check-Up" and "I Feel Better,” plus an additional episode-specific song. The series highlights the importance of taking care of oneself and others, while showcasing the hallmarks of great Disney storytelling. The series follows a six-year-old girl Dottie ‘Doc’ McStuffins who, one day, wants to become a doctor like her mother. As a kid, she "pretends" to be a doctor by fixing up toys and dolls. When she puts on her stethoscope, toys, dolls, and stuffed animals magically come to life and she can communicate with them. With a little help from her stuffed animal friends, Stuffy, Hallie, Lambie and Chilly, Doc helps toys "feel better" by giving them check-ups in her backyard clinic. they were "bopping" and singing along to the music with big smiles on their faces. They know about half of the songs since we haven't seen every episode, but still love all of theme. This is definitely a new favorite in our car music collection and they request it every time we are in the car. Learn More and Purchase: You can learn more about this wonderful new CD and purchase it from Amazon. Win: To celebrate this great new CD, I have a fantastic giveaway for my readers. Open to U.S. residents only, closes 8/22/13 at 11:59pm CST. I have 3 girls who LOVE Doc McStuffins! my daughter idolizes the doc! My daughter loves watching Doc McStuffins. She would flip out if I won. We LOVE Doc McStuffins. The songs are adorable and the characters are so cute. Chilly is our favorite! We watch Doc everyday!! My son knows all of the songs. He would be tickled if we won!! My daughters they love Doc McStuffins! I have 2 young girls that love Doc mcstuffins! they would have so much fun! I would love to win this for my grandson this is his favorite cartoon. Just yesterday he was playing doctor from it and was checking his moms ear and told her she needed a new one. 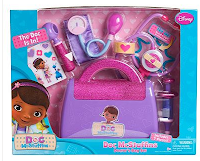 My son loves Doc McStuffins and would love this! 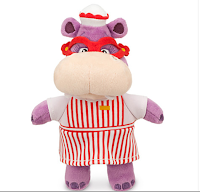 I'd love to win this prize because my niece absolutely adores Doc McStuffins! I'd love to win because my two grandsons love watching this show and get so excited for the songs. They request to watch it on Disney Jr's website every morning on the computer. I would like to win because my cousin has a birthday coming up. Great gift. My daughter loves doc and her dad is a doctor, so she would love this! My daughter is a huge Doc fan! I think it would be wonderful for my granddaughter! 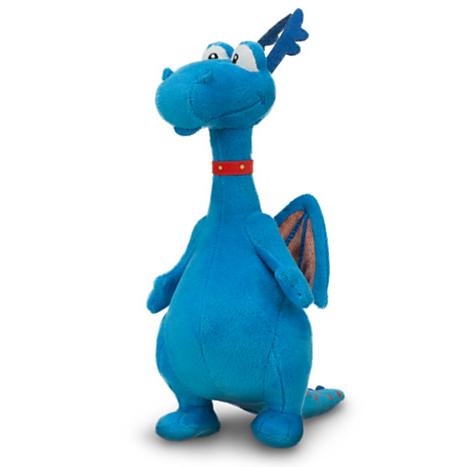 I would love to win this for my nieces! My kids LOVE Doc McStuffins! They would love this! This would make the best present for my niece. Thanks! 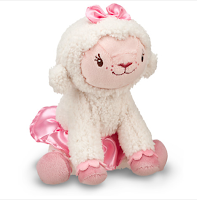 I would like to win this for my grandaughter she would love it!